Each week we round up the top news stories, think pieces and other content about the fast-paced, quickly changing world of mobile technology. We tell you which companies are employing clever mobile strategies, illuminate new ways of thinking about mobile and offer a peek at meaningful trends in the industry — all to inspire you and your company to take advantage of the many benefits mobile can offer. One week after Samsung finally unveiled its foldable smartphone to the world, a potential name, release date and price has emerged. According to a report, the device will be called (drum roll please) the Galaxy F. The device is expected to receive an official reveal in March of next year, and could command a price as high as $1,770. Samsung is also expected to launch its next flagship Galaxy S phone in February, which is rumored to support 5G wireless networks. But spontaneous combustion and meme-worthy tweets were just the tip of the iceberg. Apple is also facing issues with iOS locking scores of users out of their devices “for security reasons.” Despite the wave of lockouts, Apple has not reported any issues with Apple ID as of yet. On a positive note for Apple, the company was granted a patent this week for an Apple Watch band equipped with cameras. The advanced dual-lens cameras would capture photo data and stitch together an image of the user for video apps such as FaceTime. Whether Apple can bring this feature to life remains unknown, but at least we can rest easy with the knowledge that exploding iPhones are not expected behavior. Google is rolling out a powerful new camera mode to Pixel devices this week. Dubbed Night Sight, the feature is being hailed as a gamechanger for taking photos at (you guessed it) night time. Google has once again flexed its computational photography and machine learning chops for improved photos, now even in ultra dim light. Most impressively, Night Sight works on the main and selfie cameras of all three generations of Pixel phones, and require zero additional hardware such as a tripod or flash. Google has now released Night Sight within a camera app update for all Pixel devices. Nighttime photography wasn’t all Google had on display this week. From recommended recipes to Ninja Turtle alarms, the company showed off a number of new smart-home features for Google Assistant. The highlight was a “reply back functionality to broadcast” that allows users to communicate between smart home devices and smartphones. For example, a family member at the store could use their mobile device to contact a home speaker and ask for a grocery list. The user could then receive a voice reply and text notification with the transcribed response. Other new integrations include more kid-friendly content such as read-along stories from the likes of Nickelodeon and Disney. 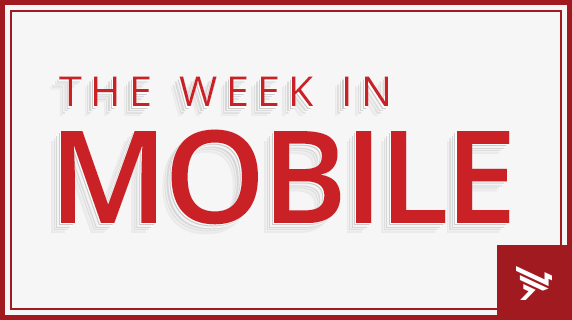 Several prominent mobile developers debuted some noteworthy apps and features this week. First, Spotify has now introduced an Apple Watch app for its popular music streaming platform. So far, functionality is limited to playlist selection, track skipping and other basics, but the company promised offline music and podcasts in the near future. Next, to combat the likes of TikTok, Facebook has launched its own short-form video app for lip-syncing called Lasso. The social media giant is hoping to capture some of the magic that helped it port Stories to Instagram and beat Snapchat at its own game. Lasso is now available for U.S. download on both iOS and Android. Finally, Volkswagen has expanded its partnership with Apple to allow users to lock or unlock their vehicle with Siri Shortcuts. Through the VW Car-Net app, users can also ask Siri to enable alarms, check estimate mileage with the fuel or the charge left in their vehicle.